Serving as a new and exciting Asian American feminist coalition-building effort, the Asian American Feminist Collective (AAFC) launches September 19th with an official launch party at 6pm – 8pm at Ode to Babel (772 Dean St Prospect Heights, NY 11238). The members urge anyone and everyone to come and show solidarity! Non-NYC folks can also subscribe and stay tuned for future online initiatives. 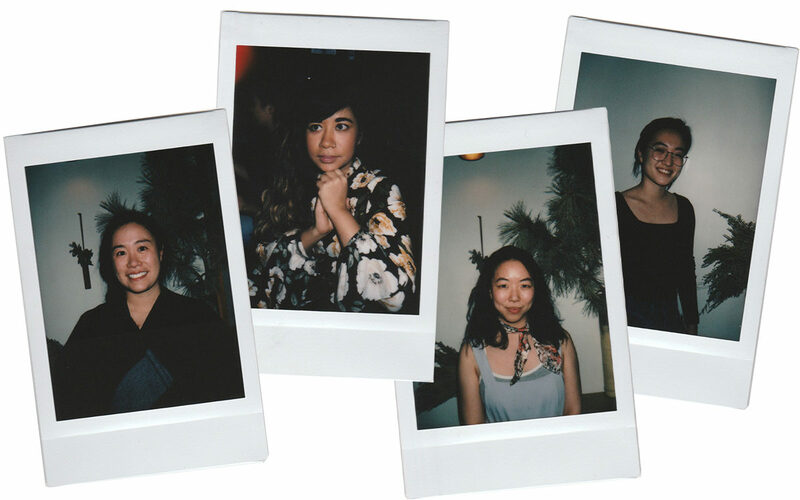 I asked members of the Collective — Senti Sojwal, Tiffany Tso, Rachel Kuo, and Julie Kim — to discuss their definitions of and ideas around Asian American feminism. The following is a transcript of collected responses and conversations between myself and some of the Asian American Feminist Collective’s members, edited for length and clarity. 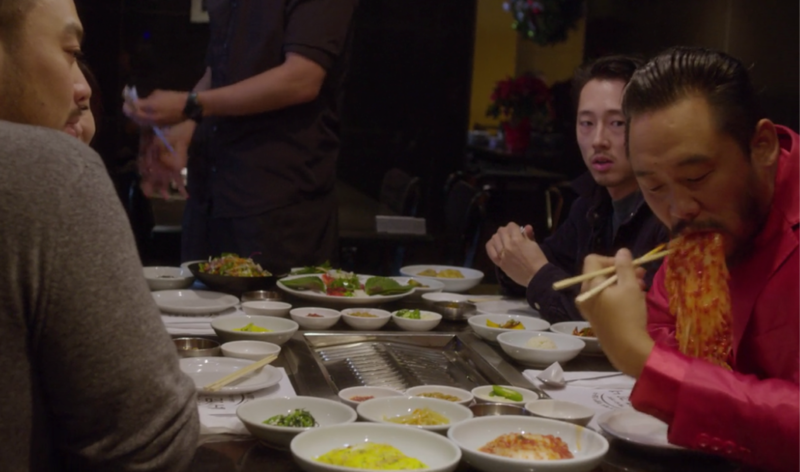 The popular reception of David Chang’s Netflix series Ugly Delicious – which seeks to open conversations about food, culture, identity, and politics – demands investigation into how the show actually engages these questions. Beyond troubling concepts like ‘authenticity’, what does Ugly Delicious offer and where might it fall short? Ugly Delicious has received positive reviews from popular food sites like Eater, while publications like the New Yorker, New York Times, the Boston Globe, Vulture, and Indiewire specifically laud the show’s ability to tackle the cultural politics of food and engage difficult questions about race, class, and power in food culture. Chang himself states that the show uses food as a ‘Trojan Horse’ to talk about broader social topics as well as to represent histories and tell cultural stories about food. Through Ugly Delicious, Chang is able to talk about the “elephant in the room: racism” (Episode 7: Fried Rice). By leveraging his elite status in the culinary world, his success in building restaurants that ‘mix’ and ‘borrow’ from different cuisines, and his ability to expertly navigate his Korean American identity, Chang is able to engage in debates about culinary appropriation in mainstream media where other people of color who have written bout food and race have been met with criticism, backlash, anger, and trolling. Ugly Delicious offers introductory conversations around the racial and cultural politics of food. For example, in ‘Fried Rice‘, ‘Tacos‘, and ‘Fried Chicken‘ episodes, the show establishes that in order to talk about food, taste, and authenticity, one must engage the ways in which structural racism decides whose food gets valued and why. What do we do with food when white supremacists want their Del Taco while seeking to deport Mexican immigrants, too? Chang contends with his conflicted emotions about the popularization of Korean food, evoking Ruth Tam’s writing on the frustration of being shamed for one’s food when white people make it trendy. Despite provoking these nuanced ideas around race and food, Ugly Delicious also reproduces harmful cultural logics and narratives, such as the overemphasis on representational visibility as viable markers for social progress; the exacerbation of problematic racial dynamics around white self-identified cultural experts; and, the erasure of colonialism, militarism, and war when stating that certain food cultures have ‘always’ had global influence. Given that the show intends to open up conversations about social issues through food, my hope is that it can spark further discussions about the intersections of food, race, power, and capital.